God’s only daughter is now the big woman on campus. Surviving Greek life will take a miracle…Jessica McCloud can’t wait to step out from her father’s shadow. Freshman year at Texas State University seems like the perfect place for the daughter of God to make a fresh start. As Jessica welcomes the anonymity, she asks a question with more weight for her than most: Does God really exist after all?When a frat party scandal puts her relationship with Chris in jeopardy, Jessica seeks out like-minded students for a sense of belonging. Starting her own sorority seems like a perfectly harmless use of her divine abilities. 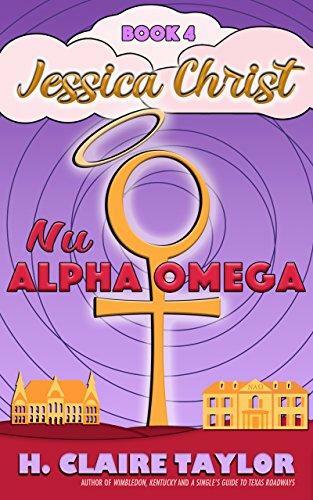 Until the hazing takes her heavenly college experience to a new level of hell…Nu Alpha Omega is the fourth book in the Jessica Christ series of satirical comedic masterpieces. If you like snarky humor, fresh takes on feminism, and new adult hijinks, then you’ll love H. Claire Taylor’s divine comedy. 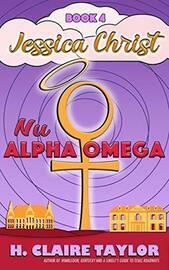 Buy Nu Alpha Omega today for your own personal comedic salvation!